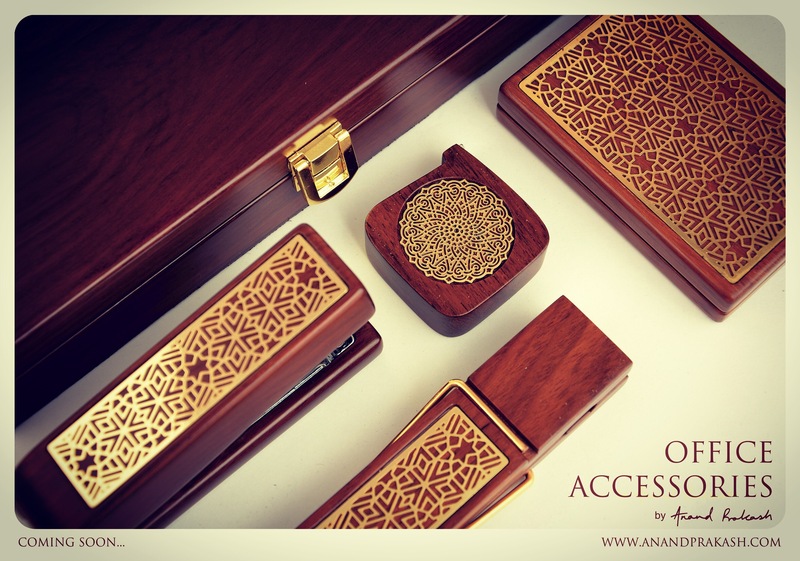 Very close to launch, 24 k gold plated desk accessories in teak wood. It took me over a year to put this range together, we worked across five cities with multiple craftsmen and is one of my favourites. Releasing soon at the mumbai airport. Available in a limited edition. Stapler, measuring tape, paper clip and business card holder neatly packed in a teak wood case. This entry was posted in Whats New and tagged 24 K Gold Plated, Anand Prakash, business card holder, Desk Accessories, Measuring Tape, Paper Clip, Stapler, teak wood. Bookmark the permalink.